We have recently launched our church's new youth group blog. 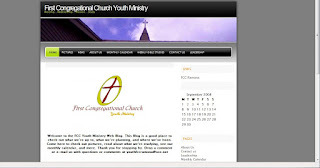 We have, until now, had a pretty boring web page linked to the church's main website but now this page will serve as a place where parents and youth can check out upcoming events, pictures, news, weekly meetings, etc. I have added a link to the page on my sidebar so go ahead and check it out.